When it started out, there were only 500 applicants who claimed they had the look. Now in its fifth year, the Pantene You Got The Look (YGTL) Contest had 4000 applicants to choose from. YGTL's immensely growing popularity was evident on Friday, June, 3, at the Pan Pacific Sonargaon where hordes of invitees gathered to see the twenty-three finalists battle it out with their charm and conquer it all with their looks. The evening started off with the introduction of the hosts of the show. And who better to host such a pageant than our very own young idol Tahsan Khan and the ravishingly gorgeous Raima Sen? From there on, there was just no looking back. The judges were then introduced. The panel of five was comprised of singer Runa Laila, actress Shompa Reza, Miss India Earth, Reshmi Ghosh, writer Emdadul Haque Milon and Enayutur Rahman of Amar Desh. After a brief performance by Pentagon, the eleven female and twelve male contestants walked onto the stage and each were given a brief introduction. One thing that must be mentioned here is the impeccable appearance of both the men and women--men looked good in Cat's Eye clothes, while the women were looking elegant and beautiful with hair and make-up flawlessly done by Farzana Shakil, who was also the judge for 'Best Skin'. Next came a performance by yet another idol, Ornob. As Ornob's performance ended, the second round, the Western Round began. The contestants all danced onto stage to the tunes of Pretty Woman, Lady in Red, Maria and Angel. when the audience requested host Tahsan to sing a track from his album. Finally the numbers were in and it was time for the dreaded Q&A round. It seemed as if the judges were as tense the finalists when it came to asking questions. While some charmed the judges with their wit, others impressed them with their knowledge. Once the Q&A was over Tahsan and Raima announced the winners in six different sponsored categories: Best Eyes, best Smile, Best Skin, Best Figure/Physique, Congeniality, Most Photogenic and Viewer's Choice. With that done, there was nothing left but to wait for the results. And what better way to wait than seeing brothers DJ Sandeep & DJ Sanjeev perform? 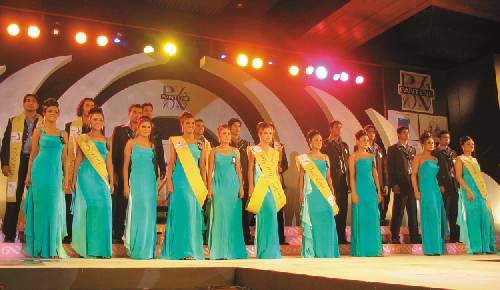 What followed was probably the most electrifying half an hour of the pageant. 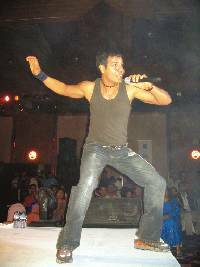 From his own track to Runa Laila's Shader Lau, from Bon Jovi to Bhangra and from speaking in Bangla to boldly teasing Runa Laila, DJ Sandeep had the audience in a hyped up trance as his brother spun records one after another. 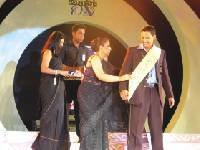 As the performance ended, Tahsan and Raima beckoned last years YGTL winners to grace the stage and crown the new winners. Amidst thunderous applause Pantene YGTL 2005 winners were then announced. Best Hair went to Adnan and Sarah and Best Look went to Russell and Shagota. 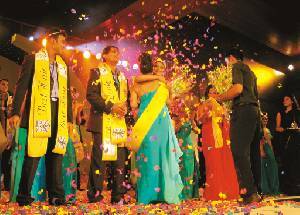 With smiles on their faces and a new confidence in their walk, the four winners took a final walk down the stage and bowed marking the end of a truly glamorous and electrifying evening.